Fitted at the hips and gradually widens towards the hem, giving the impression of the shape of a capital letter A. A hem is higher in the front, or side, than in the back or other side.. Fits closely to the body through the torso and hips, then "fishtails" out in a flare to the floor. A very short skirt. Typically hits at mid-thigh or above. A very narrow straight skirt. This really hugs your hips & usually tapers down snug to the knees. a long skirt or skirt part, as of a coat or dress, ending below the middle of the calf but above the ankle. 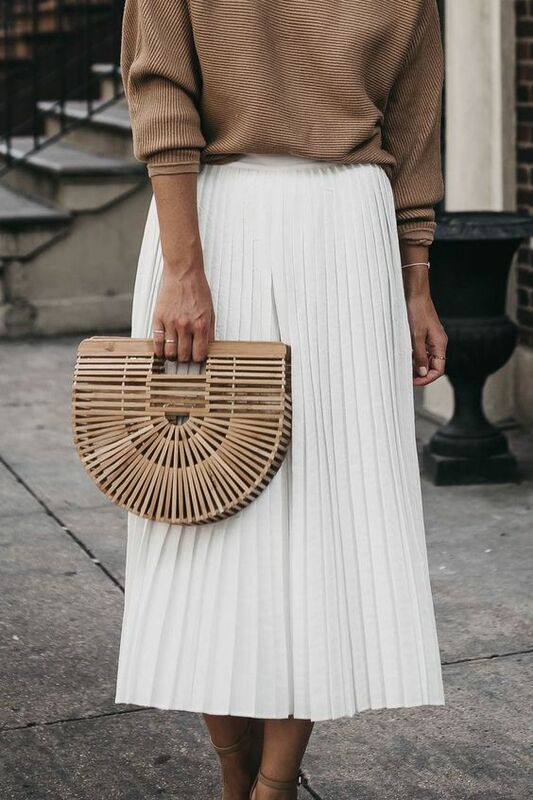 high-waisted circle skirt with a hemline above the knee, often made of lighter materials & gives the flowing effect that mimics the skirts of figure skaters. Skirt length that ends at the middle of the calf.